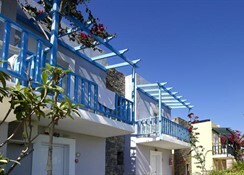 The Sissi Bay Hotel & Spa makes for an ideal home from home in which to discover the treasures of Greece on your Crete holiday. 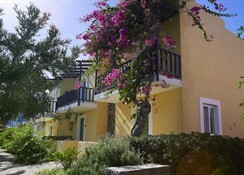 Overlooking Sissi Bay in the Mediterranean Sea, Sissi Bay Hotel & Spa is located within minutes of the quaint village centre to provide an oasis of calm in a stunning natural setting. The beach is but a stone's throw from the hotel and you'll be able to enjoy scenic views out towards the sea from your room's balcony or sun terrace. The all-inclusive programme at Sissi Bay Hotel & Spa comprises of breakfast, lunch and dinner all serving exceptional cuisine in a buffet style, while guests can also take advantage of the swimming pools, the sauna, or head to the beach where a host of watersports are available, including jet-skiing, wind surfing, pedal boats and more. Away from the hotel, a trip to the archaeological site of Malia Palace is a must-visit and fun for all the family can be had at Amazonas Animal Park. 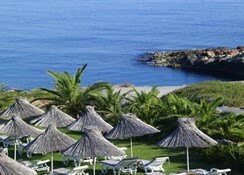 Sissi Bay Hotel & Spa is located just 41 km from Heraklion Airport and a short walk to the beach. You can also enjoy a pleasant meander down to the small fishing village and harbour. A number of restaurants are within easy walking distance and Sissi Bay Hotel Spa will gladly help you arrange trips further afield to experience island highlights from caves to ancient ruins and a plethora of other amazing cultural experiences. The Sissi Bay Hotel & Spa offers spacious and modern accommodation, with room types available including double/twin rooms, triple rooms, family rooms (for up to 4 or 5 people), Junior Suites and Family Suites. Each elegantly appointed room and suite is equipped with air-conditioning, a satellite television and mini-fridge, as well as a balcony, terrace or veranda overlooking the sparkling Mediterranean Sea, the mountains or the manicured gardens. 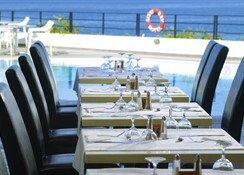 The main hotel restaurant caters for breakfast, lunch and dinner offering a choice of Greek favourites or international dishes. As part of the all-inclusive programme you can also take advantage of afternoon tea with the pool bar being a great place to pick up a snack or a drink. 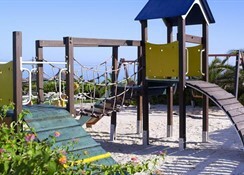 Sissi Bay Hotel & Spa offers you a wide selection of of activities on site, including an outdoor swimming pool and two children's swimming pools. You'll also find a sauna and spa, while those looking to stay more active can choose from volleyball, tennis and a variety of watersports. Also recommended is the Folklore Cretan night, bringing you the unique opportunity to be entertained Cretan style. really great we had no problems at all Sissi is a lovely little resort and very welcoming. The gym us really nice as are the pools.